Sam Smith and 6-year-old Mary Kai working the saw. 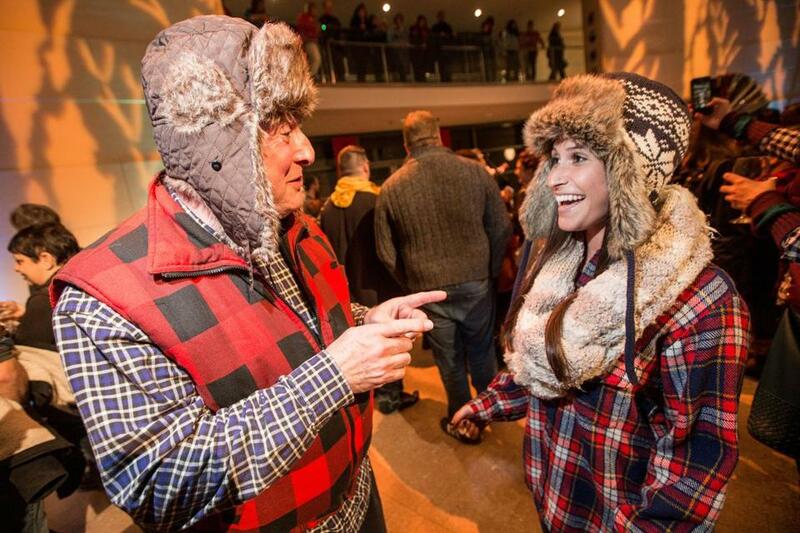 There was so much plaid and flannel in the crowd one might have thought Pendleton was shooting an ad campaign. 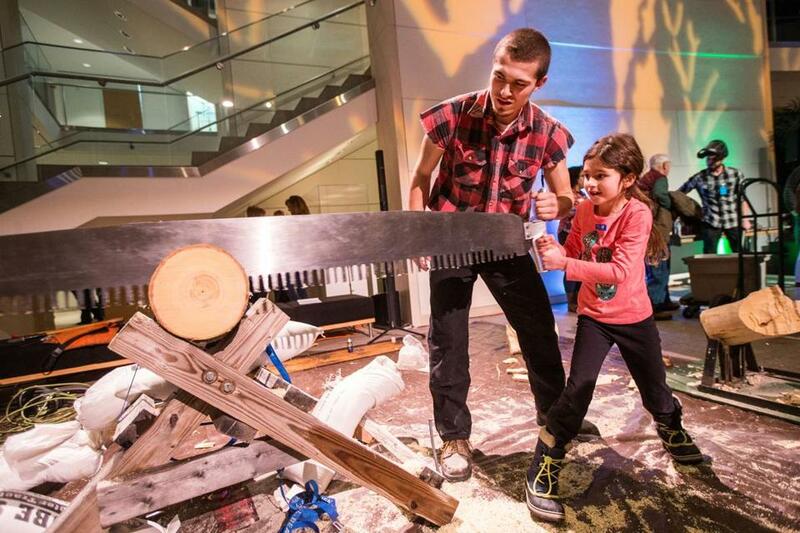 Guests took part in crosscut sawing demonstrations and watched the all-bearded Tigerman WOAH, an Appalachian folk-bluegrass-rock band from Lynn, perform. Posers were few. 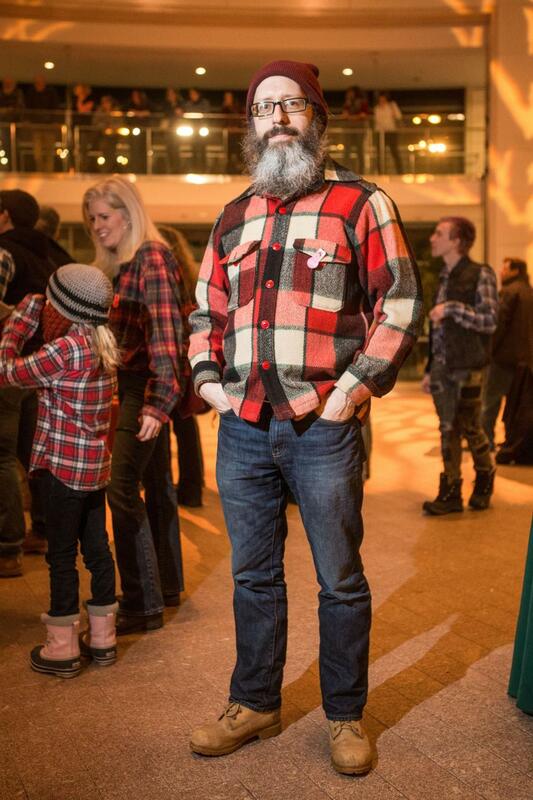 Jim Vaughey wore his girlfriend’s maple sugaring shirt while Melanie Griffin, who works on fisheries policy, rocked a reindeer sweater she bought on eBay a couple of years ago and a pair of socks trimmed in red that were handknit by a fisherman’s wife in Canada. “That’s where I go fly fishing for salmon,” she said. 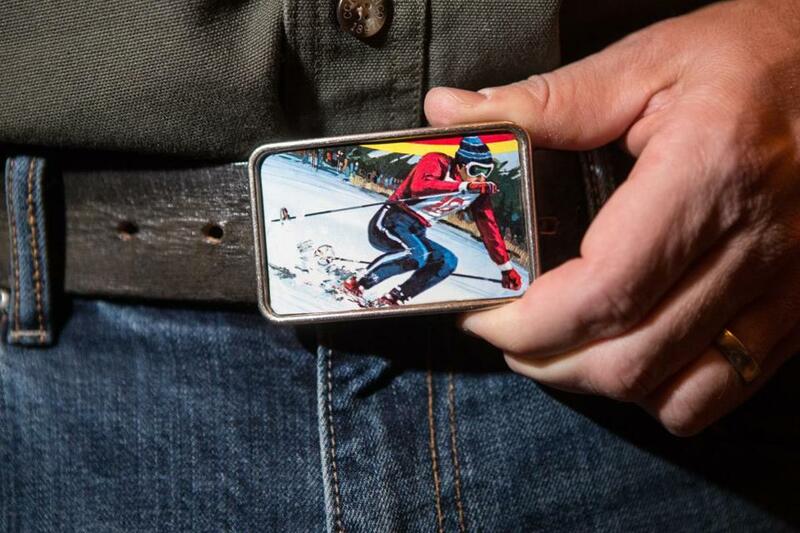 Even the youngsters in attendance were dressed for adventure. Edie May, who is 7, wore a knit cap-slash-beard she borrowed from her older brother. 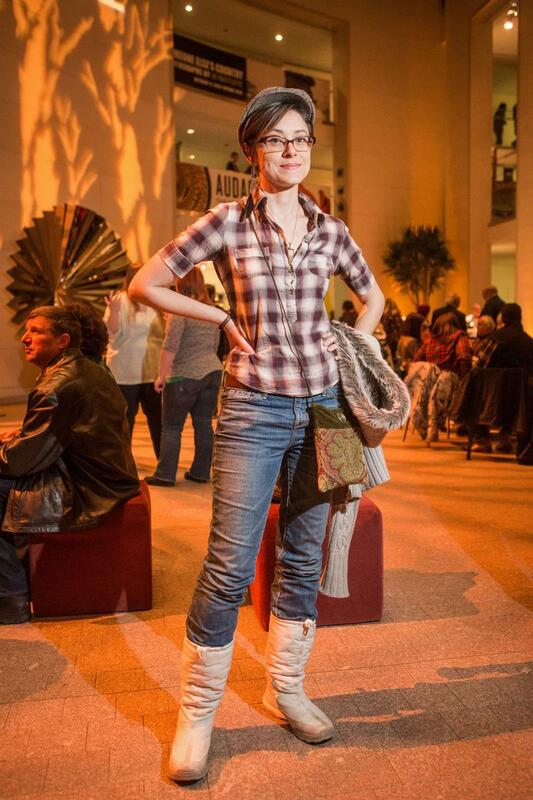 Her mom, Susan, lamented that a foam toy ax Edie brought had been confiscated at the door. 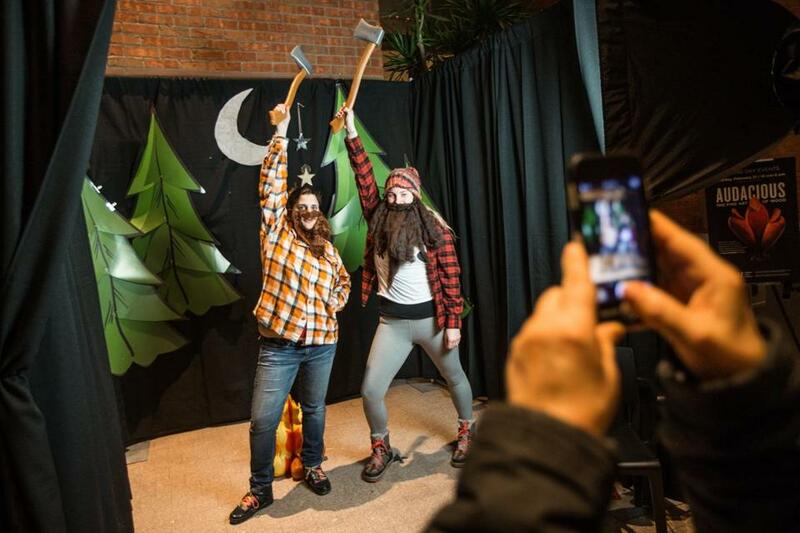 So the pair headed to the lumberjack photo booth, where they posed for the camera in front of a plastic inflatable campfire. 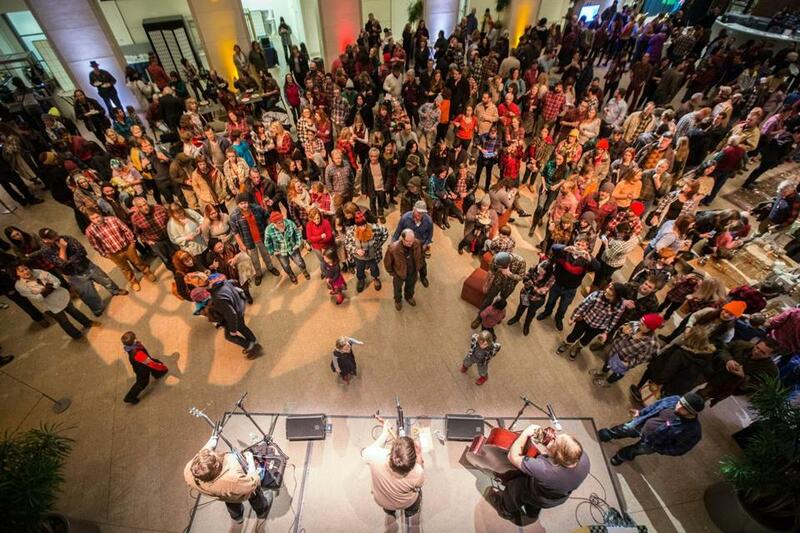 Tigerman WOAH performing at the “I’m a Lumberjack” party at the Peabody Essex Museum. Robert and Beccah Stains dressed for the cold. 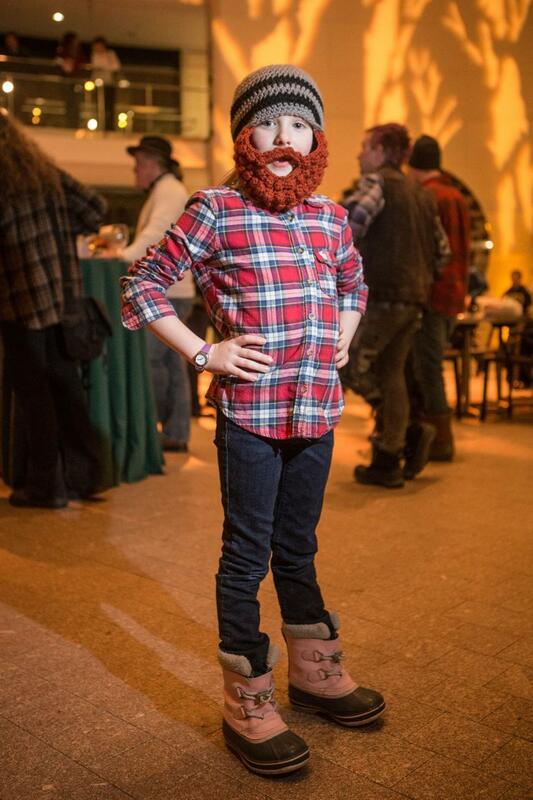 Seven-year-old Edie May shows off her lumberjack style. Christina Kalafatis and Ally Leon hoisting prop axes.